© Provided by Fox News Eric Wells, left, was arrested after allegedly kidnapping Taryn Webster, who remains missing as of Tuesday. Authorities on Tuesday continued the desperate search for a Tennessee woman, even after the man accused of attacking and kidnapping her was taken into custody hours earlier. 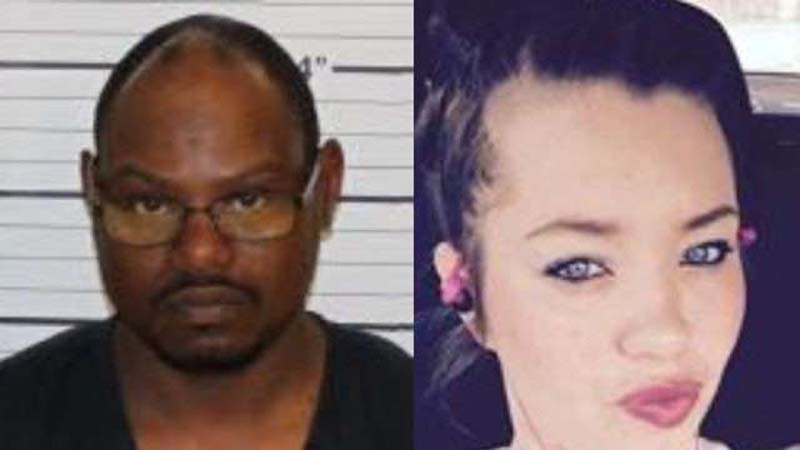 Eric Wells, 43, was arrested and charged with aggravated kidnapping after he allegedly abducted Taryn Webster around 2:30 p.m. Monday, FOX13 Memphis reported. A witness said the 26-year-old woman was driving in a car in Memphis when she was chased by a man, believed to be Wells, in another vehicle. Webster’s vehicle crashed into a pole. Wells then attacked Webster and forced her into his vehicle before fleeing the scene, police said. Wells was captured and booked into jail 2 a.m. Tuesday -- but Webster was nowhere to be seen. Wells refused to say where he left Webster when police questioned him, FOX13 reported. Authorities described Webster as being between 4 feet 10 inches to 5 feet 2 inches tall, and around 120 pounds. She was last seen wearing blue jeans, a black shirt with straps and white tennis shoes with rhinestones. Webster also has a pink tongue ring and a tattoo of a star on top of her foot, FOX13 reported.